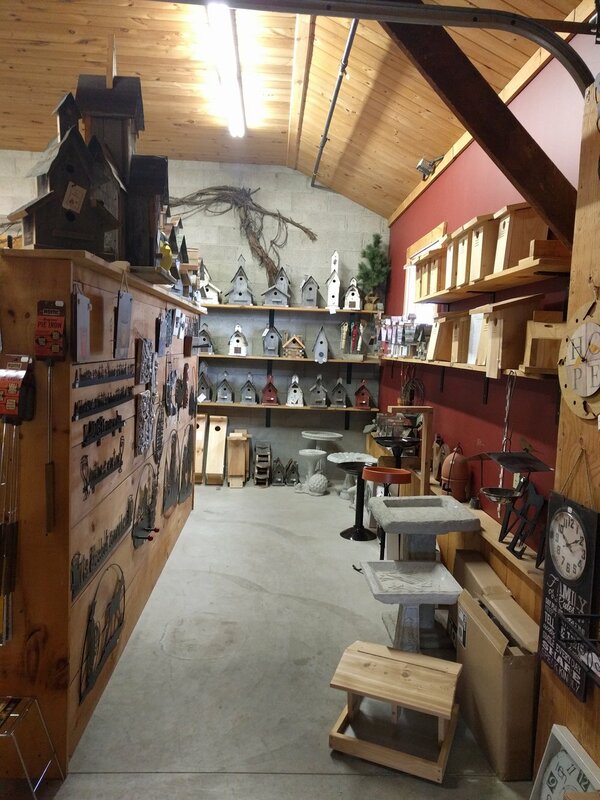 We have ALWAYS had an excellent selection of wood Bird Houses & Bird Feeders...it just got so much better as we have just restocked our Garden Room with our fantastic selection of houses... just in time for the gift-giving season! Who wouldn't love to add a Bird House to their garden? Whether a family moves in or not, many of these houses add the amazing character you or that special someone might be looking for!! Made right here in Ontario, we know that they would bring a smile to most anyone on your list! Just a sample of what you might find in our Garden Room! !